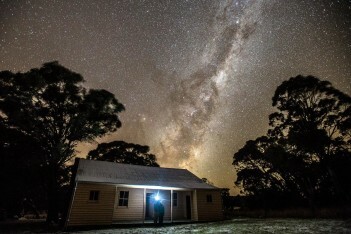 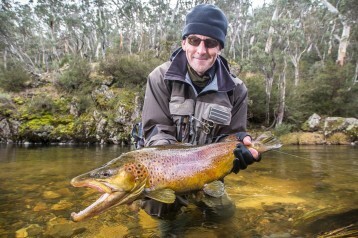 The Snowy Mountains region is arguably the most renowned trout fishery of mainland Australia. 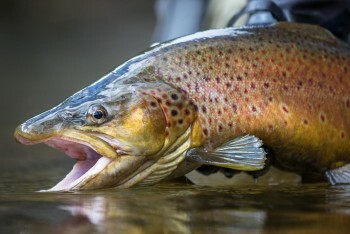 Rugged mountains, wild open plains and alpine streams full of trout. 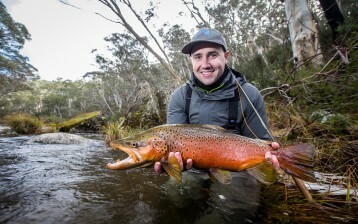 Whether you want to catch your first fish on fly, or beat an elusive PB, the Aussie Fly Fisher team have the skills and knowledge to give you an exciting and unforgettable trip. 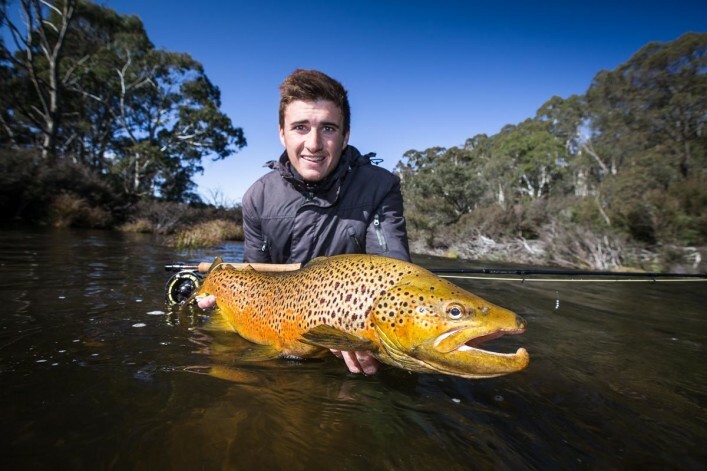 Headed up by Snowy Mountains local, and fly enthusiast, Mickey ‘Finn’ Shanahan, the team have spent years exploring this extensive fishery. 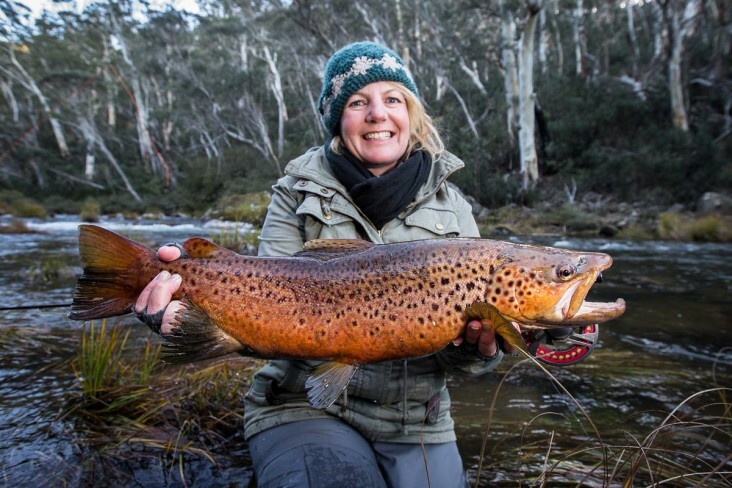 Mickey lives on the banks of the Murrumbidgee river behind Adaminaby – offering meals and accommodation for the travelling angler – and knows the best nooks and crannies to find your dream fish. 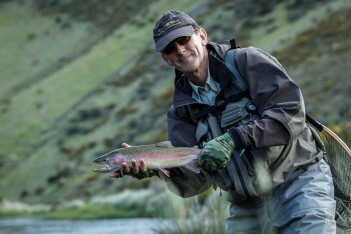 Mickey has not only lived and breathed fly fishing for almost 20 years, but with a Masters degree in teaching, he is well-positioned to help you build your skills. 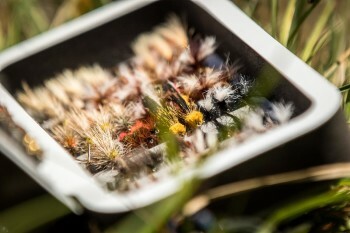 Mickey and the team will guide you through fly-choice, casting technique and river craft – giving you the best chance of success. 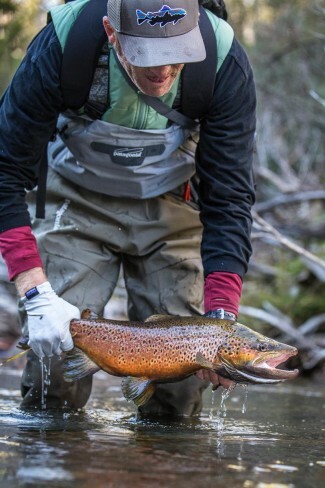 Whatever the season, the Snowy Mountains offers a plethora of options for the keen fly fisherman. 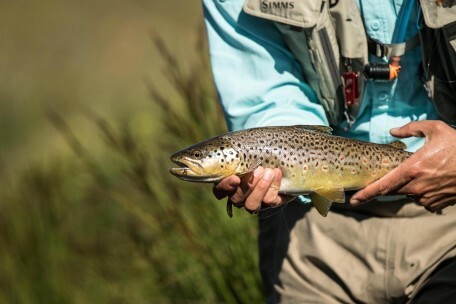 Early season fishing takes advantage of the untouched water, while Summer in the high country offers dry-fly small stream fishing, bathing in the warm temperatures and long daylight. 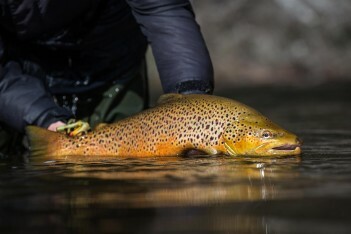 Finally, late season provides legendary lake-run fishing with good numbers of large brown trout. 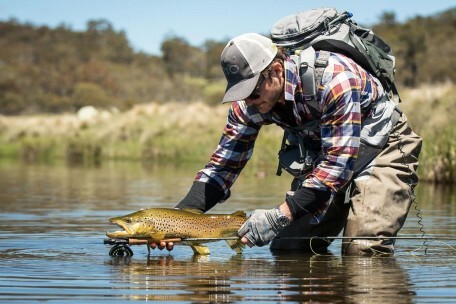 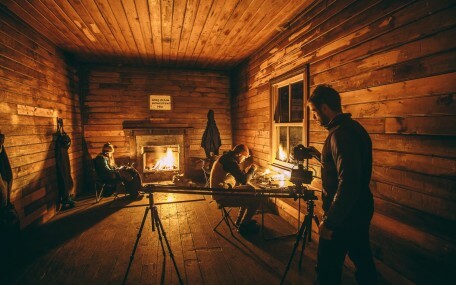 Whenever you choose to come, the AFF team will make it worth your trip – soaking in the raw beauty of snow-crusted mountains, wild brumbies, and brown, brook and rainbow trout. 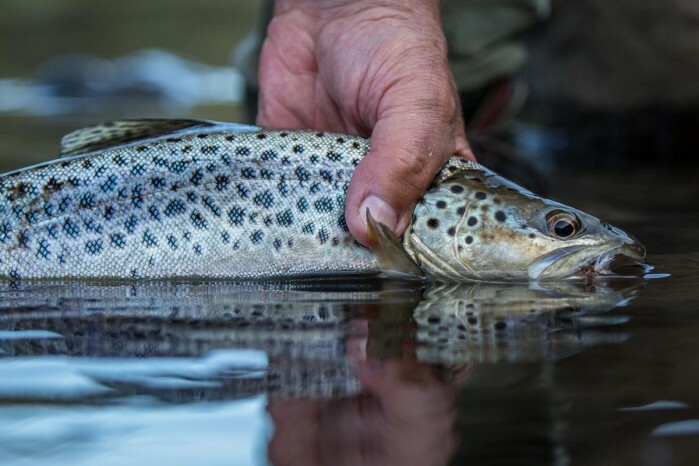 AFF Guides and clients practice ‘catch and release’ for all stream caught trout. 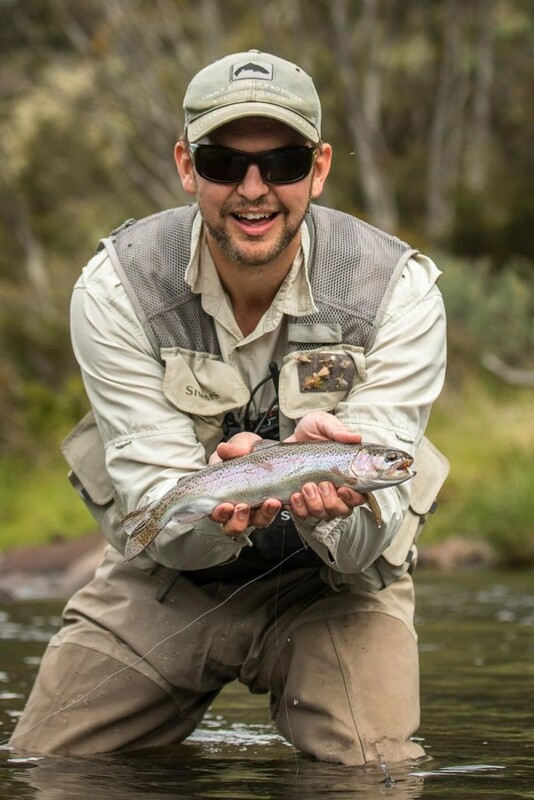 Aussie Fly Fisher Guides are trained in first aid, have full personal liability insurance, and hold a certified Eco Pass to Guide in The Blue Mountains, Kanangra-Boyd & Kosciuszko National Parks – Licence # LIC17/3.